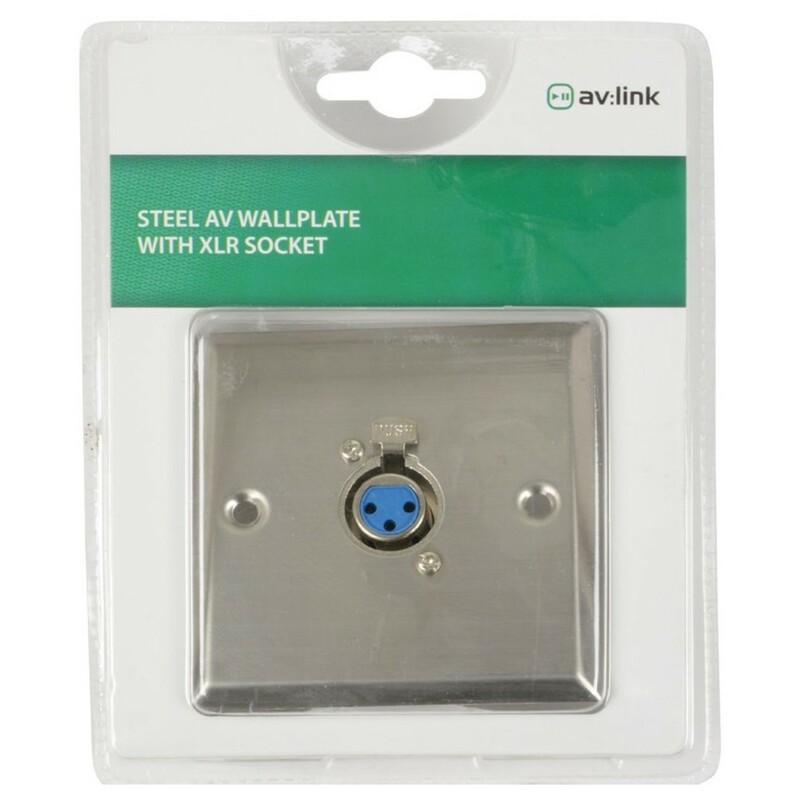 The Steel AV Wallplate with XLR Socket is a stylish and function back box cover for protecting internal XLR connections. The high-quality stainless steel gives it a timeless look and a tough finish. This wallplate is for use with XLR connections. 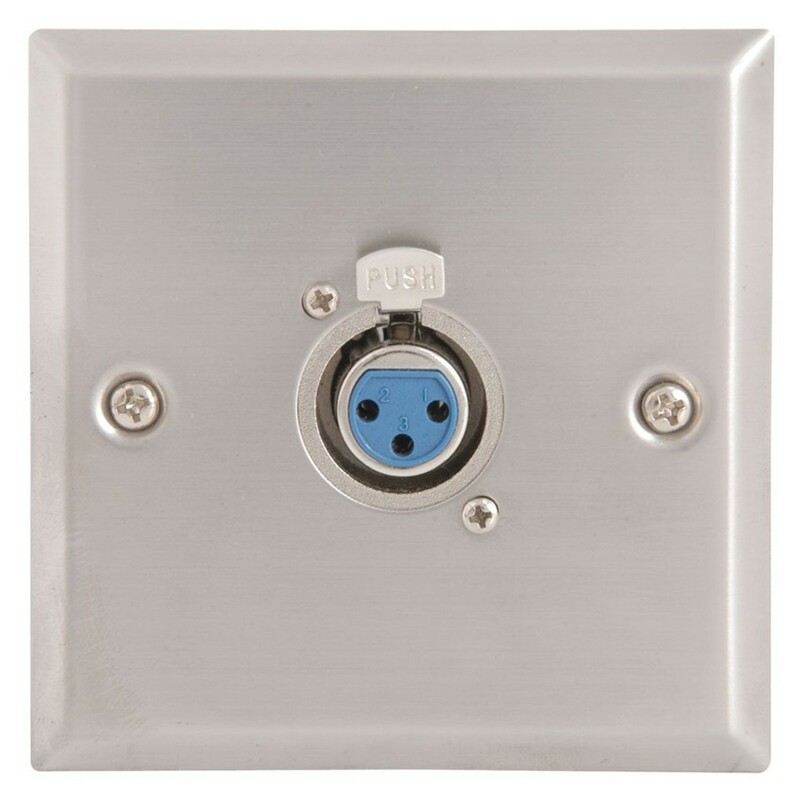 This high quality stainless steel wallplate is perfect for protecting your internal XLR connection. It features a socket for inserting a balanced line XLR connection. It fits to a single mains back box and can be easily soldered for XLR connections. The fixing screws are supplied within the blister pack.